The Shree Siddehswar temple in Kakti now does not have the God himself as the idol of the deity and silevr ornaments have been found stolen. 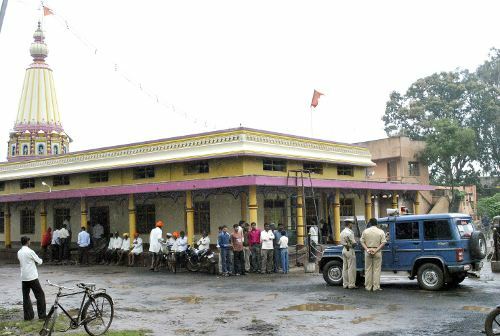 The temple is situated in Kakti on the NH 4. The idol of Lord Suryanarayana and silver ornaments weighing about 31 Kgs was stolen. A case has been registered with the Kakti police station. walkable distance from the temple.. Police sleeping? Ha ha ha ha !!!!!! hahaha want can we say just laugh at such news , even god is not spared with silver rate going to 62000/kg. the theif is richer than many of us now he has about 19 lacs. he will stand for next election and become a corrupt politician. even if caught whether police will take action or have a cut in the loot.